In writing my posts so far I’ve tried my best to avoid using the simplistic exclamation “Wow” and that just keeps getting harder to do, especially here. I’ve visited the Grand Canyon a couple of times before in my life and still find myself in awe when facing the immense and indescribable proportions of it all. Words fail. 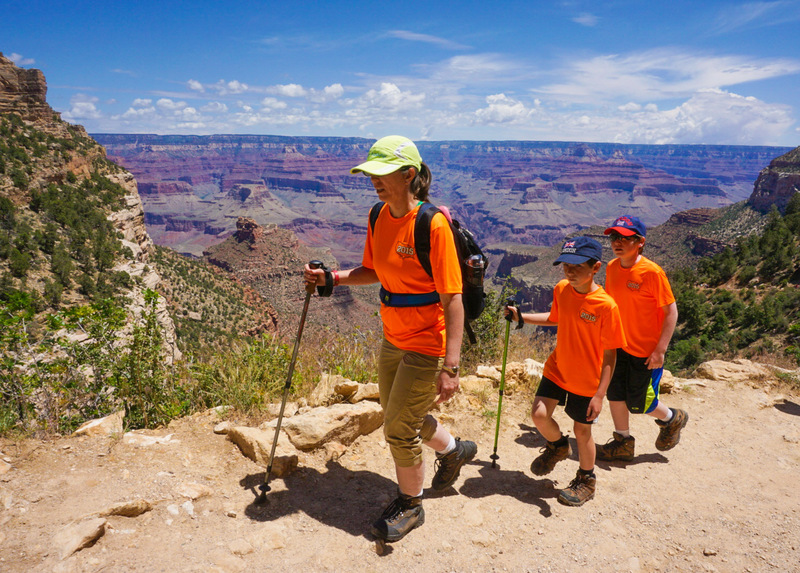 As a photographer the frustration brought by the reality of the Grand Canyon lies in the fact that no two dimensional medium can truly do justice to this spectacle. It offers a scale impossible to convey not only in physical dimensions but also in color, hue, light, dark, shape and texture. As expert a photo or painting might be it remains just an attempt to share the complete vision and experience. 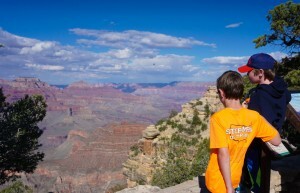 To truly grasp an appreciable sense of the Grand Canyon you really need to be there and lay eyes on it personally. It was fun to share this with the boys and see them experience it for the first time. They both came with an sense that they already knew what to expect. They said as much commenting that they’d seen photos and such. In spite of that I think they were truly impressed with the real thing. Dawnie, who’s visited here many times over the years, insisted that a true Grand Canyon experience involves hiking down into it (which I’ve done with her in the past). So we did just that. 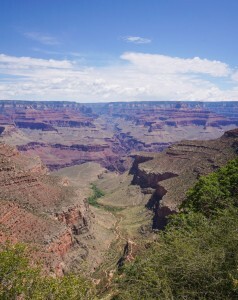 We hiked an out and back route on the Bright Angel trail going about a mile in and returning about two miles back out. Did ya see what I did there? It felt like two miles back out (climbing) even though we were retracing the same route. If you ever have the chance don’t miss an opportunity to see this for yourself! 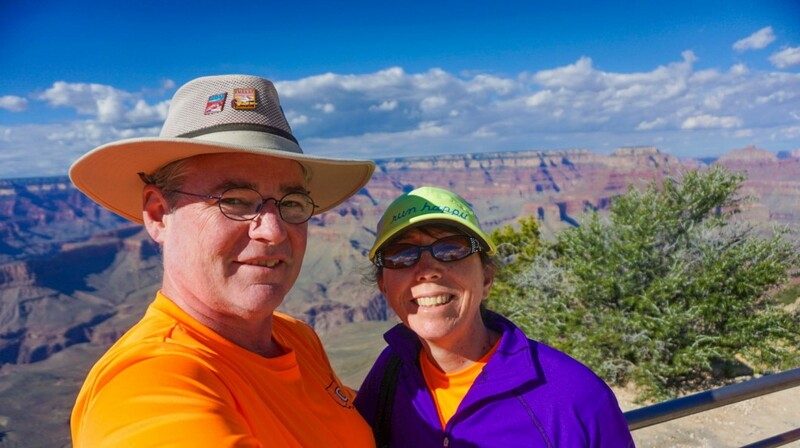 A selfie with Dawnie from the Grand Canyon south rim. 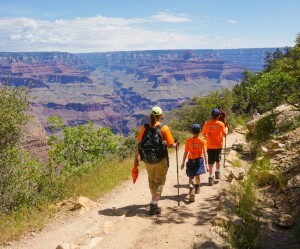 Grand Canyon’s Bright Angel trail cuts a short tunnel through the canyon wall. 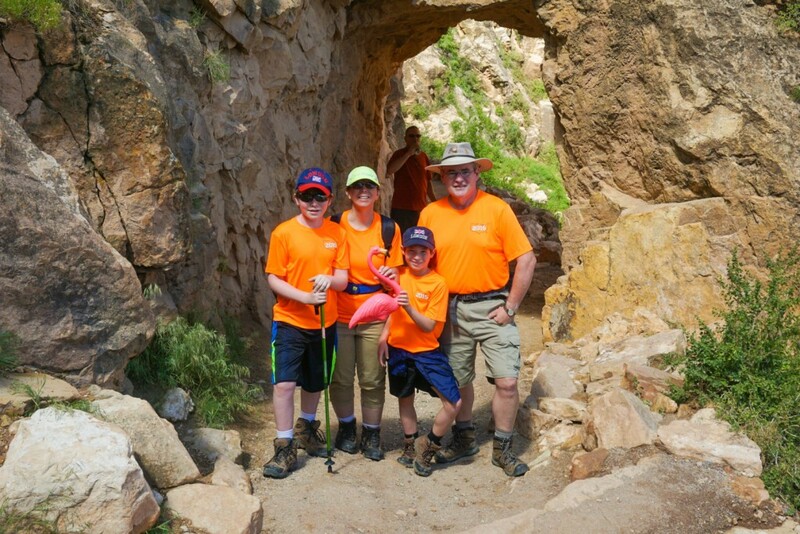 This entry was posted in Arizona, Destinations, Grand Canyon National Park, Southwest and tagged Arizona, AZ, Bright Angel trail, Grand Canyon. Bookmark the permalink.